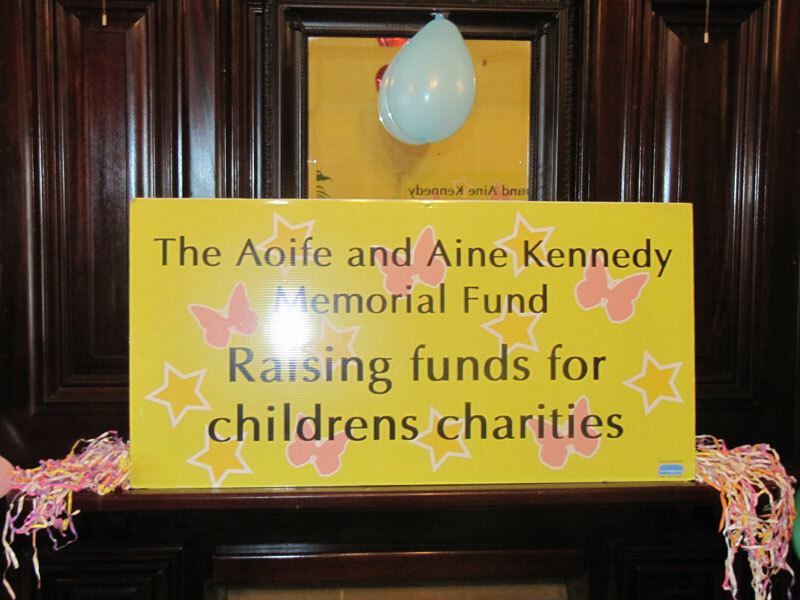 On 8th December the Aoife and Aine Kennedy memorial fund are holding a party night to say thank you for supporting and helping us since the set up of the charity 5yrs ago. The night is being held in “The Lodge”, lounge in Carnew and this is shaping up to be a night to remember by all involved. The night kicks off at 9.30pm with mulled wine and mince pies and music with Martin Lacey, Arizona Dawn and CCE Tuaisceart, Loch Gorman. Finger food will be served and there will also be a drinks promotion on the night. At midnight we release helium balloons to mark the 5th anniversary and remember Aoife and Aine and the work that is being done in their memory. There is a monster raffle in circulation at present and will be drawn on the night of which the proceeds go to the Ben Kelly fund, Craanford. Ben is 9yrs old and just had a kidney transplant and cannot be with us on the night due to being up for the bravery award with share a dream foundation in Limerick. So take out your Santa hats and come join us, there is no cover charge and let us thank you the public with a party to remember and at the same time meet the hard working committee behind the charity.